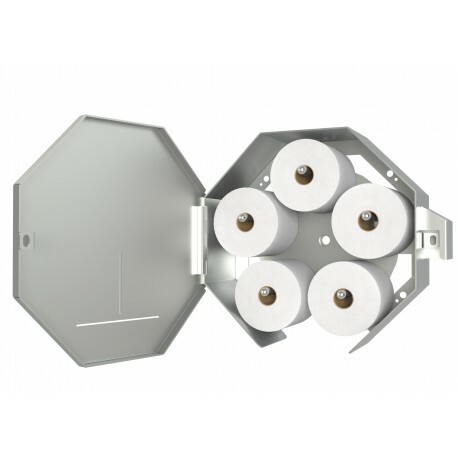 Our Vandal Stop Products - Jumbo Roll Dispenser Toilet Paper Holder (VSP-JRDx5) accommodates any and all toilet tissue roll sizes including the gigantic jumbo roll 14" 2000 foot paper. 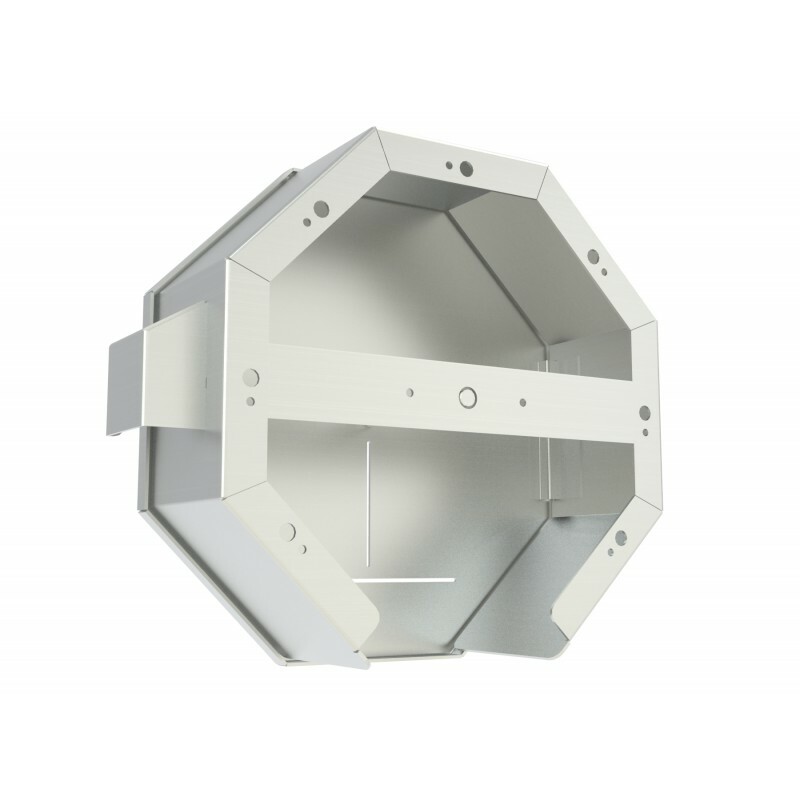 These large capacities are ideal for restrooms that see extra high use. 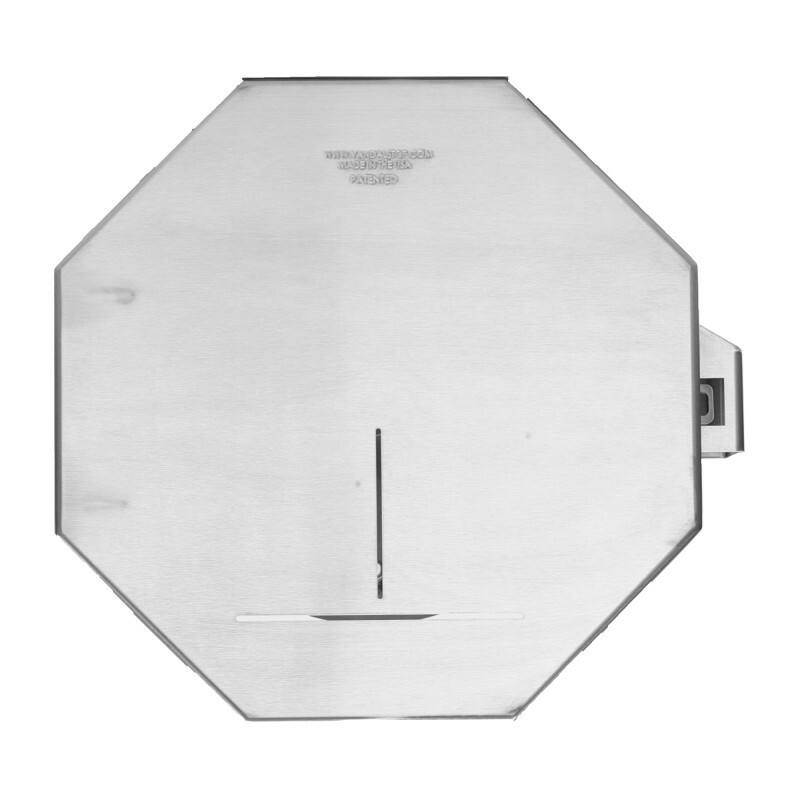 Our vandal proof Jumbo Roll Dispenser toilet paper holder was first developed to meet the traffic and heavy use of Highway Rest Stop facilities operated by Washington State D.O.T. 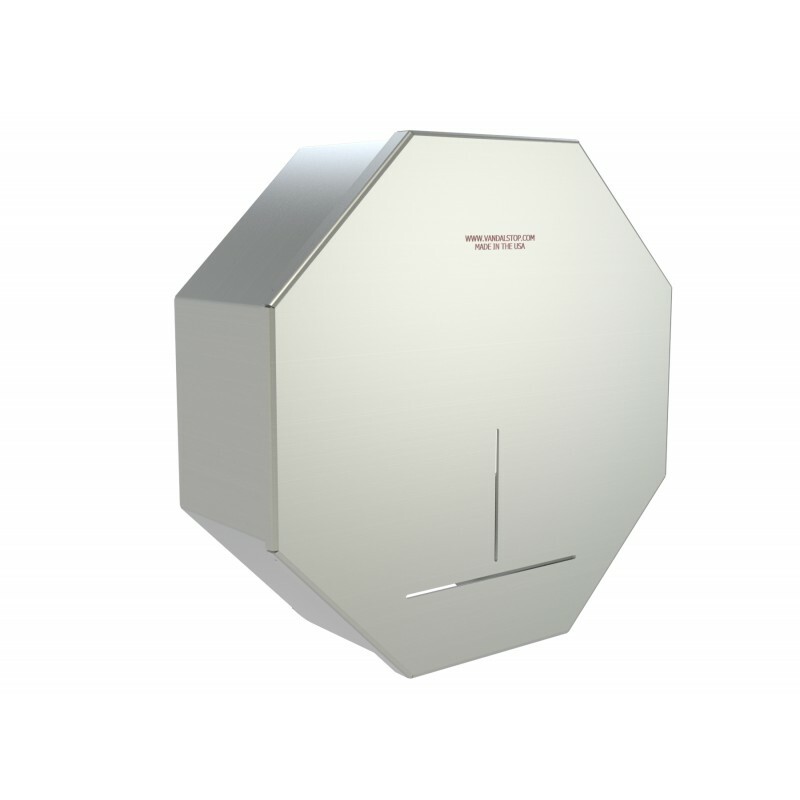 The VSP-JRDx5 is intended for remote outhouse facilities that need the best flexibility in paper use and capacity. 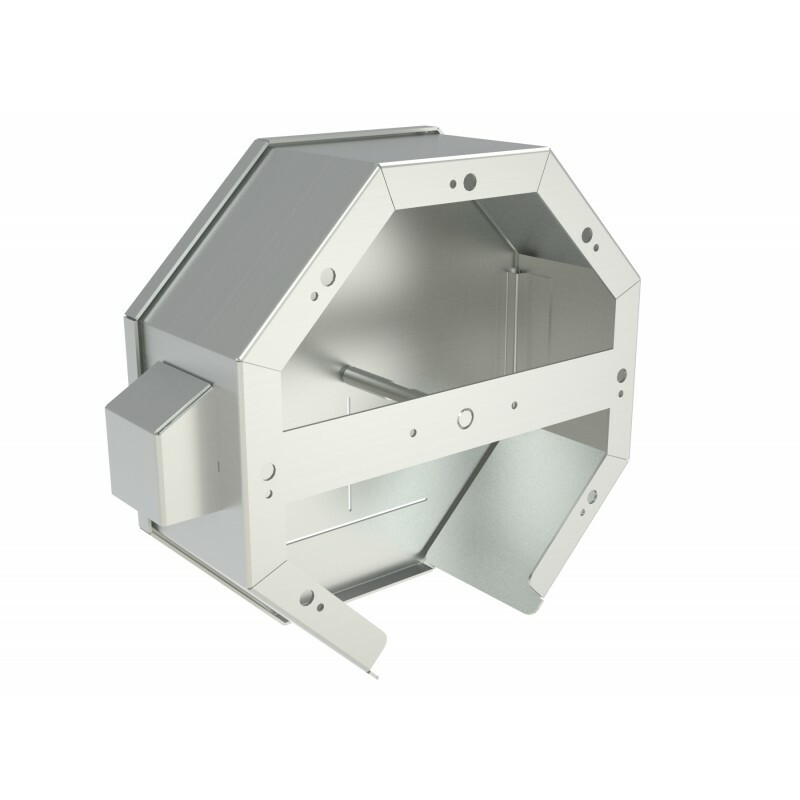 The VSP-JRDx5 is available in 12 gauge Stainless Steel that will stand up to heavy use, abuse and vandalism. Featuring a shrouded lock, vandals and thieves will be foiled should they attempt to cut the lock with heavy duty cutters. 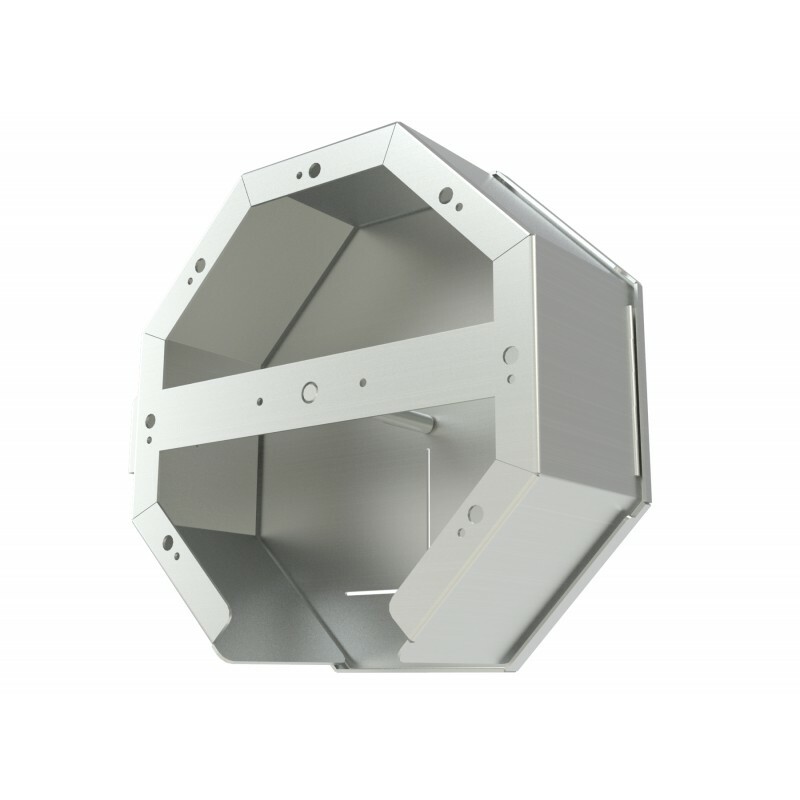 The strength of the unit also comes from its unique octagon shape that provides extremely good structural rigidity. 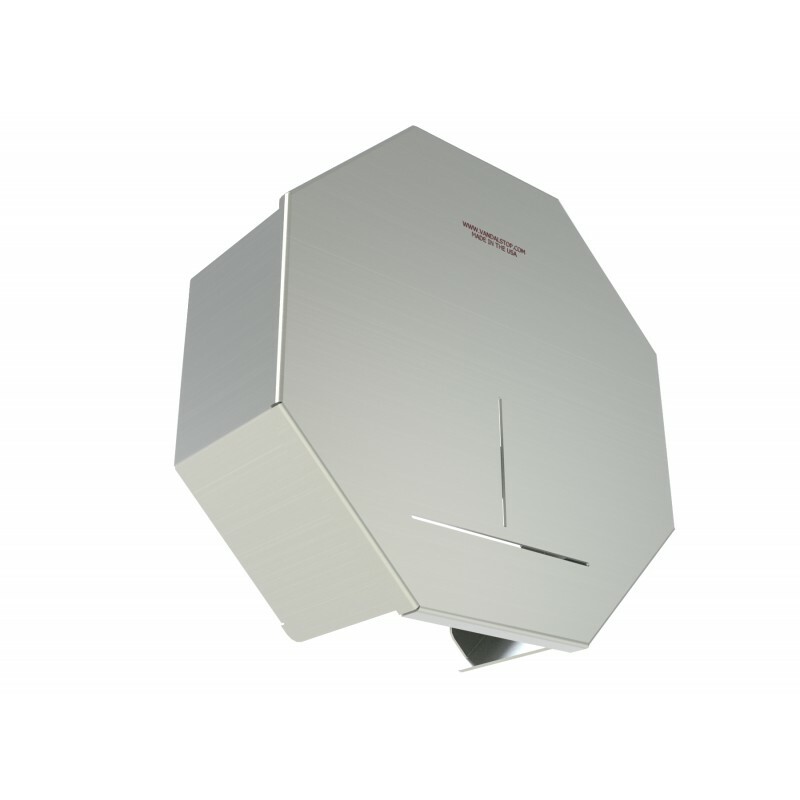 The VSP-JRDx5 toilet paper dispenser is one of our most versatile washroom accessories. It can accommodate a high capacity Jumbo Roll toilet paper up to 14” in diameter and any jumbo roll toilet paper up to that size. It also easily accommodates coreless toilet paper for even higher capacities. 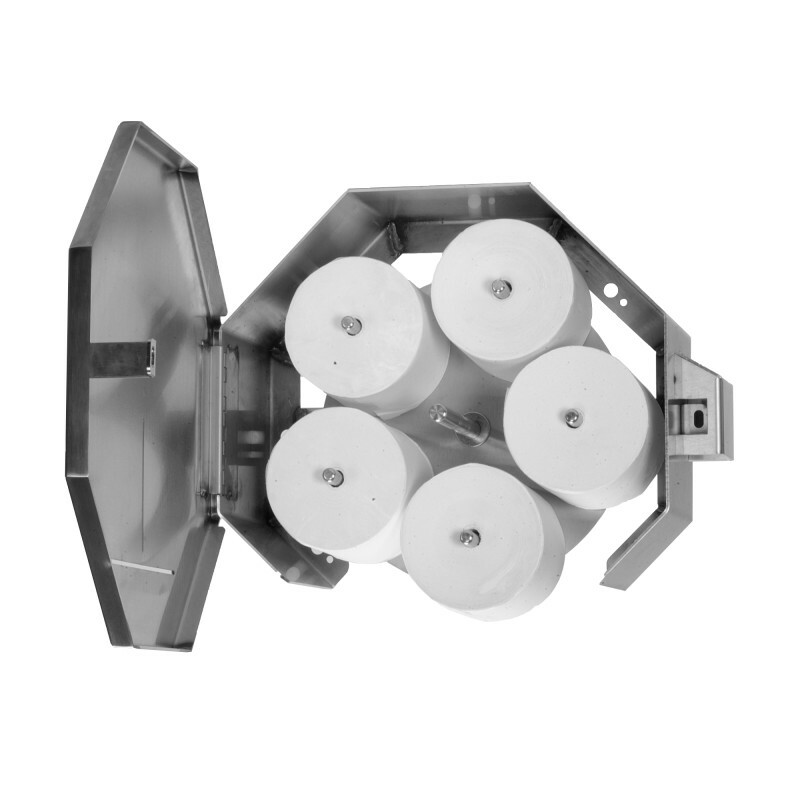 Should you desire to incorporate standard toilet paper size rolls for your public facility, there is an optional 5 spindle carousel that allows for 5 rolls of standard tissue sizes up to 5” in diameter. This washroom accessory is also drip deflective that will protect the paper from errant water during hose down cleaning. 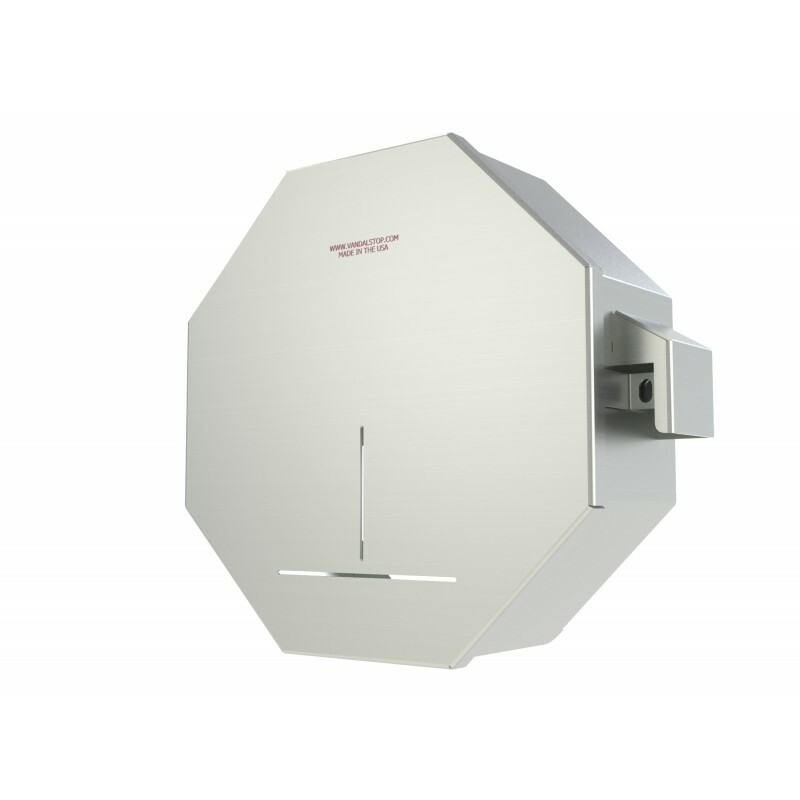 The VSP-JRDx5 toilet paper dispensers are ADA compliant when properly mounted and installed. 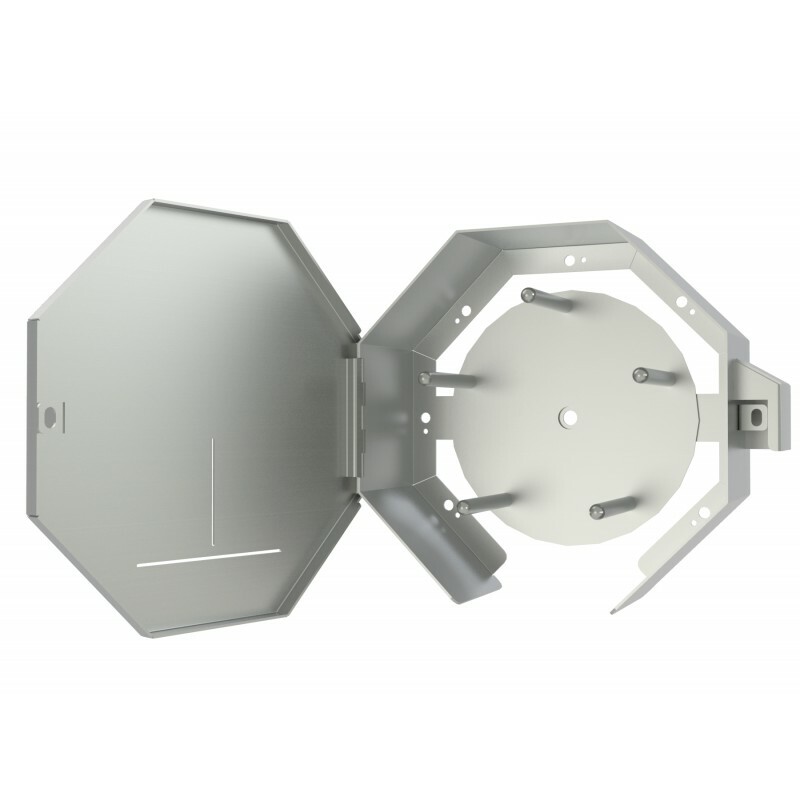 Past customers that are interested in the VSP-JRDx5 toilet paper dispenser include Public School districts facing facility abuse from their students, Public Parks, Fast Food franchises such as McDonald's & Taco Bell and remote facilities such as outhouses in the National Forest.